Date of birth taken from his enlistment papers in the Canadian Army on 18 Sept 1914. Charles Tucker Enlisted in the British Army 18 February 1901 and served until transferred into the Army reserve on 10 Mar 1909. See attached service record for full details. Charles Tucker enlisted in the Corps of Hussars of the Line, 18 February 1901 at Swindon, Wiltshire England, he transferred to The Royal Regiment of Artillery, Royal Garrison Artillery 22 Feb 1901. He served in the Royal Garrison Artillery until 10 Mar 1909 where upon he transferred to the Army reserve. He served in Bermuda and India. List of the Company's of the Royal Garrison Artillery. On 29 March 1901, Charles was posted to No. 3 Coy, Royal Garrison Artillery. No. 3 Company was located in Bermuda, West Indies. Charles was posted to No. 19 Company, Royal Garrison Artillery, 20 September 1901. No.19 Company was located at Malta. Charles was posted to No. 79 Company, Royal Garrison Artillery, 01 November 1901. No. 79 Company was part of the 6th (Poona) Division, Bombay, India. He remained in India for 7 years until he returned to England and Transferred to the Army Reserve on 10 March 1909. Charles completed his time with the Colours and transferred to the Army Reserve in accordance with his Enlistment Conditions. Charles was awarded the following decorations for his service in the Canadian expeditionary Force during World War 1. Canadian War Service Badge Class "A"
1. Members of the Canadian Expeditionary Force (CEF) who served at the front and had retired or relinquished their commissions, been honourably discharged, or returned to or retained in Canada on duty. 2. Members of the Imperial Forces, subject to the same conditions as members of the CEF, provided they were Canadian residents on the 4th day of August, 1914, and had returned to reside in Canada. The Initial CEF issue is a bronze button 14/16 inches (22 mm) in diameter with a screwback fitting; the outside a circle with the words FOR SERVICE AT THE FRONT above and . . + . . below; the centre an enamel Union Jack in the form of a Tudor shield on a pebbled ground; this is surmounted by C.P.F. (Canadian Patriotic Fund); the reverse with stamped serial number. On a subsequent issue of the badge, C.P.F. was replaced with CEF (Canadian Expeditionary Force). Date of death taken from notation on Military service records. Charles Tucker was buried 31 January 1953 at Clover Bar Cemetery, Edmonton, Alberta, Canada. His Grave is located in Section 0E, Block 0003, Plot 0012. Charles and Susan Tucker (n. Tull) are buried at the Clover Bar Cemetery, Edmonton, Alberta, Canada. Take note that Charles's birth year is incorrect on this headstone. Charles was born 06 August 1882 not 1883. This photo is taken at Florence's wedding, left to right, Florence Ellen Tucker, her father Charles, Tucker, unknown male. [S352] Library and Archives Canada, 2 (Reliability: 2), 31 Jan 1953. See attached Military Service Record - page 2, Date of Birth 6th August 1882. [S82] Parish Records All Saints Liddington Wiltshire England, 17/1882 (Reliability: 3), 12 Aug 1882. Charles Tucker, son of John and Elizabeth Tucker was baptised 12th August 1882 to All Saints Church, Liddington, Wiltshire, England, Baptism registration Number 131/1882. [S83] Britsh Military Service Records - Army, 1 - 4 (Reliability: 3), 18 Feb 1901. See attached Military Service Record. [S83] Britsh Military Service Records - Army, 3 (Reliability: 3), 29 Mar 1901. See page 3 of attached Military Service Record. [S83] Britsh Military Service Records - Army, 3 (Reliability: 3), 20 Sep 1901. [S83] Britsh Military Service Records - Army, 3 (Reliability: 2), 1 Jan 1902. See page 3, attached British Military Service Record. [S83] Britsh Military Service Records - Army, 3 (Reliability: 3), 10 Mar 1909. Transferred to Army Reserve 10 March 1909. [S355] Veteran Affairs Canada (Reliability: 3), 1919. See attached Military Service Document and attached decorations. [S352] Library and Archives Canada (Reliability: 3), 18 Sep 1914. 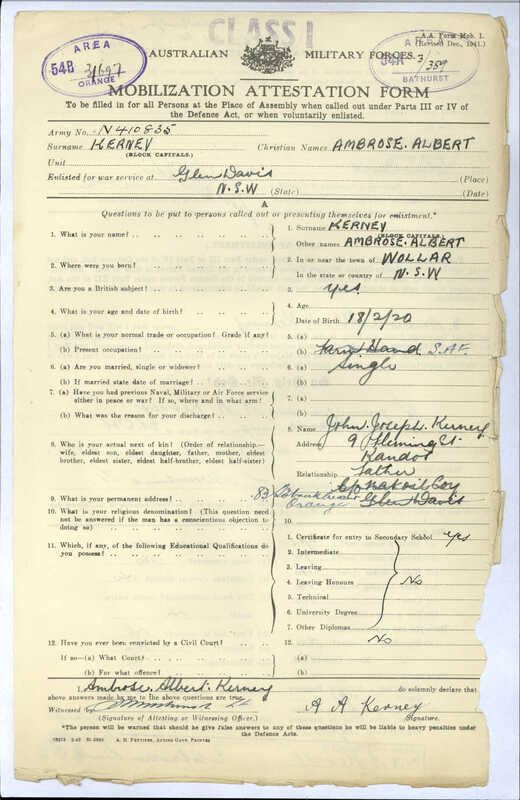 See attached WW1 Military Service Record. [S352] Library and Archives Canada, 1 (Reliability: 3). 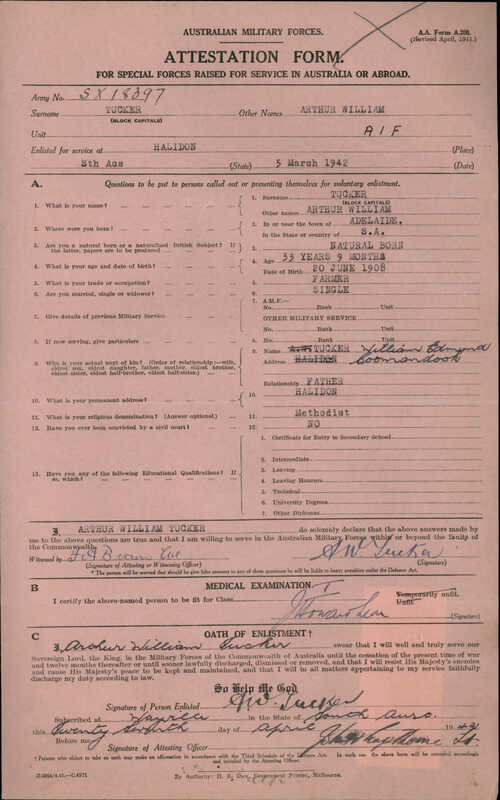 See page 1 of his military Service Record. Notation on front page deceased 31-1-53. [S354] The City of Edmonton (Reliability: 3), 31 Jan 1953. Charles Tucker buried 31 Jan 1953, Clover Bar Cemetery, Edmonton, Alberta, Canada. His grave is located in Section 0E, Block 0003, Plot 0012. [S101] Headstone Inscription (Reliability: 3), 25 Jun 2015.